In this Conversation Piece series, we take a look at seven statement sofas to bring intrigue and unique character into your home design. Each and every one of these sofas is sure to be a main topic among guests to your home. Designer Arne Jacobsen designed this canape in 1939 for the city hall in Søllerød, Denmark, and it has never been produced for the retail market. Its Danish modern form is updated with bright yellow upholstery (though it’s also available in gray and black for the less adventurous). Playing with the scale of pixels is a specialty of Spanish-born designer Cristian Zuzunaga, and the diminutive digital unit gets its due on Shanghai. 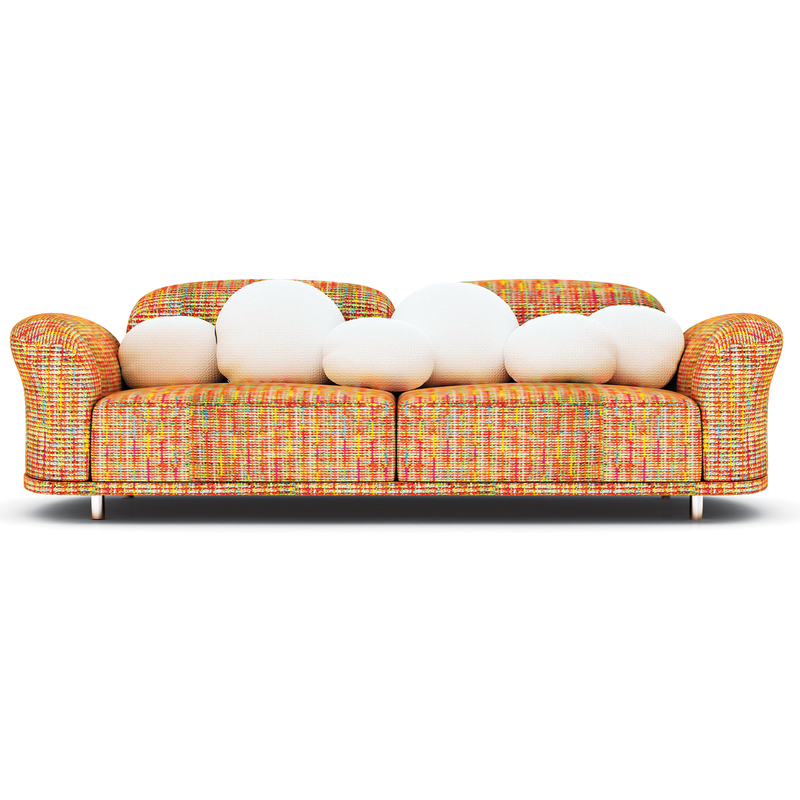 The fabric—a Ligne Roset exclusive—graces the iconic pleats and folds of Michel Ducaroy’s Togo. Pierre Paulin designed this sculptural piece in 1968 for Artifort in two variations: sofa and love seat. This vintage offering, a sofa, was manufactured in France. Take a look at more from this series —10 Statement Chairs and 8 Statement Side Tables.